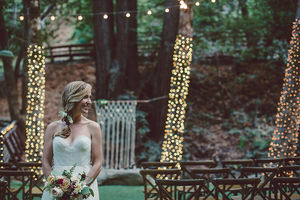 Subtle colors combined with the bold and natural surroundings of this shoot create a magical, fairytale-esque vibe for these natural and rustic forest wedding ideas! 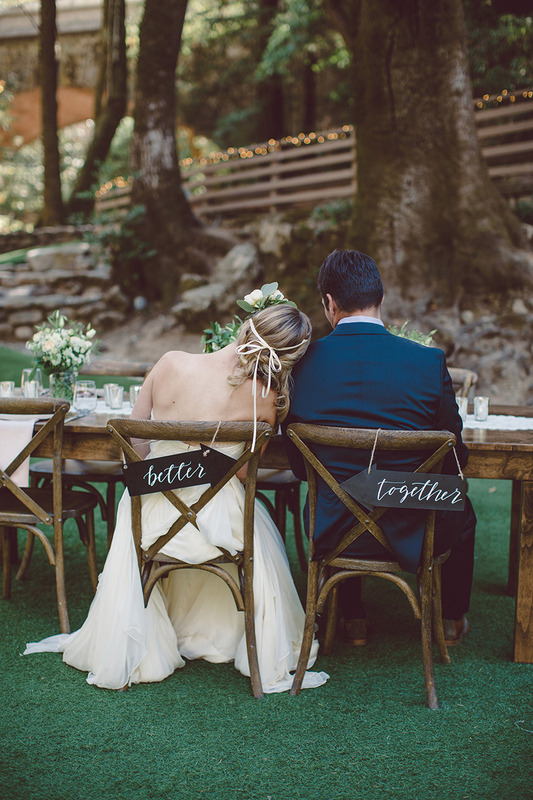 Saratoga Springs provided the location for our green wedding themed session. 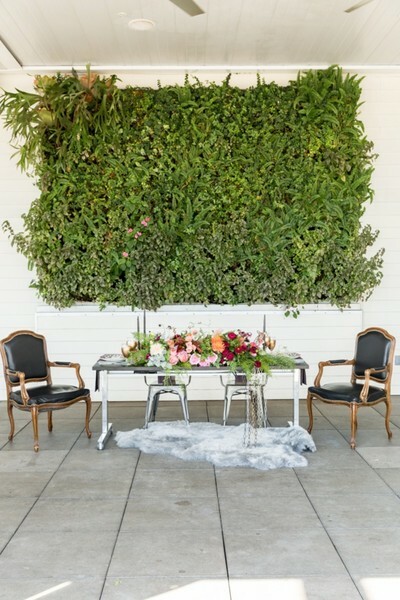 The mix of the natural light that filtered through the tall trees combined with all the greenscape and with the market lights of Bay Area Event Light, created a perfect romantic atmosphere. The details and the day was organized by Ashley of First Pick Planning. Ashley also created the amazing macramé backdrop for the ceremony area; decorated with colorful flowers, it made the ceremony unique. The dessert table the was the proverbial icing on the cake. The naked cake was beautifully decorated with an intricate handmade, white flower. The white frosting on the groom’s cake was accentuated with green leaves. Many thanks to Pink Posy for all the other little sweets that we were happy to devour. The desert table the was the proverbial icing on the cake. The naked cake was beautifully decorated with an intricate handmade, white flower. The white frosting on the groom’s cake was accentuated with green leaves. Many thanks to Pink Posy for all the other little sweets that we were happy to devour.